The Messenger Platform&apos;s customer chat plugin allows you to integrate your Messenger experience directly into your website. 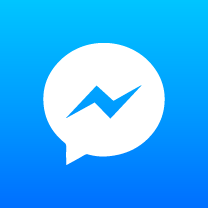 This allows your customers to interact with your business anytime with the same personalized, rich-media experience they get in Messenger. If the user is already logged in to their Facebook account, they will be able to start chatting with your bot right away. If they are not logged in, a default welcome message will be display, and they will be prompted to log in or create a new Facebook account. By default, the greeting dialog will be shown on desktop and minimized on mobile. Users can also click to show or minimize the dialog. This state is cached on the browser for the duration of the page session (including page reloads).